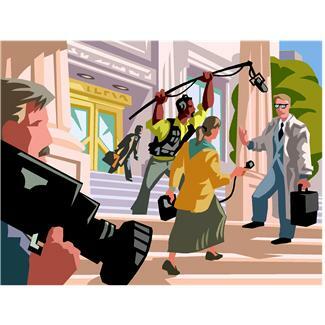 I’ve media trained a lot of executives through the years from CEOs of start-ups who have never spoken to media before to seasoned executives of Fortune 500 companies about to go into a new market or launch a new product. I’ve coached them on how to stay on message, to deflect a question, to learn not to answer questions they don’t have the answer and to speak in soundbites. The result? Strong interviews given by good spokespeople whose efforts helped their companies build mindshare and leadership. And then there are the other interviews. CBS recently did an interview with the CEO of Coca-Cola about the company’s new anti-obesity program. As Coca-Cola’s main product is basically liquid sugar they had to know this was going to be a tough interview. And it was. Unfortunately the CEO wasn’t quite up to the task. PR News described him as looking like a “channeling a cartoon villain” and I agree. PR News also offered some tips for prepping executives for tough interviews. They are all good points. But prepping executives should consist of more than telling them what to do. You also need to show them what not to do. And the best way to train a spokesperson for a bad interview is to make them dry run a disaster.